The Mayo Anti-Slip Mat has a unique surface design. It is soft enough to allow animals to sink slightly into it, giving tremendous traction and therefore confidence to the animal. 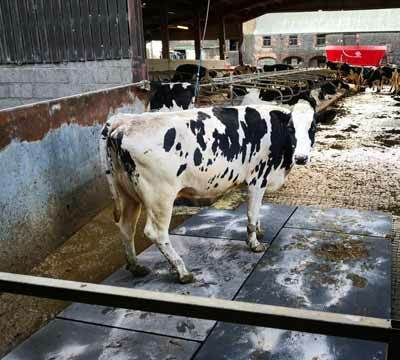 The Anti Slip Mat is extremely hygienic, just power wash any mess into the drain once milking is over. They are 100% none absorbent so scientifically they cannot harbour any bacteria. Creating the safest, most hygienic environment for your herd. The mats are roughly 24mm deep x 1.73m long x 1.22m wide. Dramatically reduces the risk of injury. 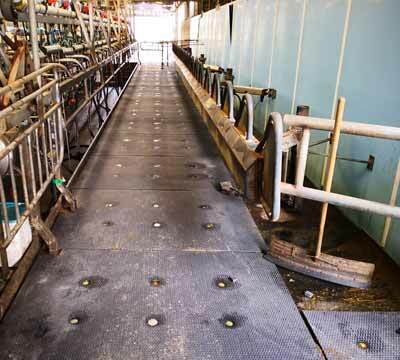 Encourages cows to walk into the parlour, they will race off a hard, slippery surface onto the Mayo Anti slip mat. 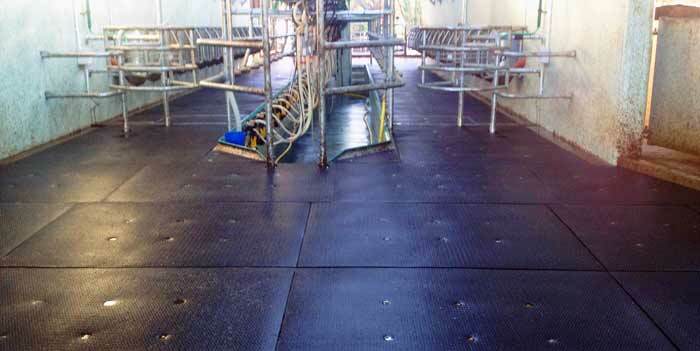 Reduce stress levels in the parlour- the comfort and traction of the mat gives the cow confidence. A less stressed cow is less likely to hold onto milk giving a higher yield. Unique anti-slip surface design- the design is soft and small allowing the cow to evenly distribute her body weight over her full foot. Increased confidence in the milking environment will increase throughput. Other areas the mats can be used includes ramps, steps & collecting areas. 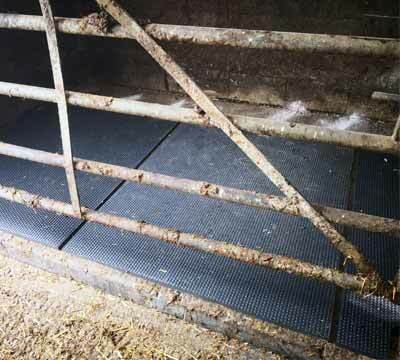 The Anti Slip Mat is also fantastic in pens where you may separate cows, especially if they are stressed. They will have permanent traction on the mat and are far less likely to further injure themselves. FITTING: The Anti Slip Mat is easily fixed down on to a parlour floor using 5 heavy duty thunder bolts and washers per mat. The mats are fixed in the center, with a small gap in around the perimeter of the mat to allow for expansion. Q: Do they get slippy with age? A: No. Because they are permanently soft, the cows will always get traction. Please contact us with any enquiries and visit the gallery to view more images.